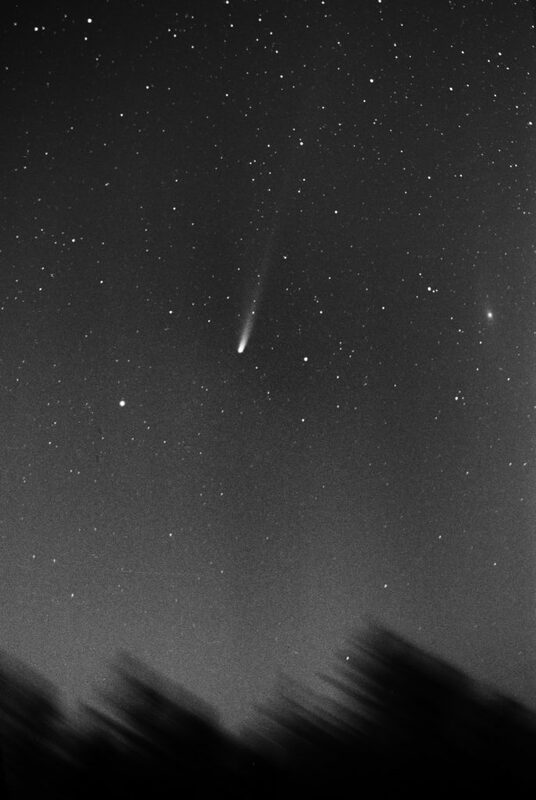 Comet 153P/Ikeya-Zhang, 4 exposures on color negative film combined. M31 can be seen at right. Black and White version.